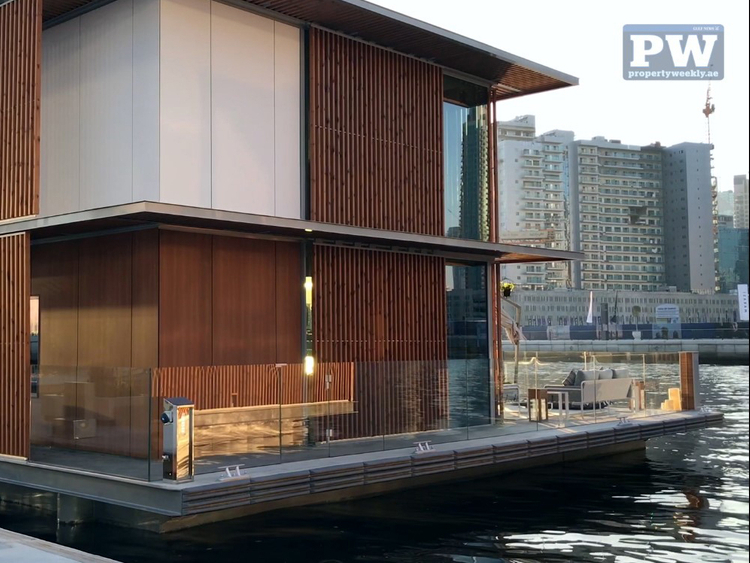 Dubai Properties (DP) said it has completed work on the UAE’s first water homes on the Dubai Water Canal. The nine Marasi Water Homes will be sold as freehold residences and will include a 10-year warranty, although DP has not revealed details about the price of the houses. “The water homes are immobile, fixed structures with a freehold title deed and a 10-year structural warranty and will be used for freehold and residential use only,” DP said in a statement. Buyers will have to pay the usual registration fees for freehold homes to the Dubai Land Department (DLD), equivalent to 4 per cent of the price. The water homes feature a modern, minimalist open-plan design, according to Sasan Niknam, who was part the team from U&A that designed the floating homes. Buyers can choose from two-, three- and four-bedroom configurations. Sasan said the two-bedroom units feature a loft-style layout, while describing the bigger units as “mansions” floating on water. With the homes floating in the middle of high-rises, maintaining the privacy of residents was one of the challenges in designing the floating homes. Vertical louvres are installed around the pools and the edges of the property. The side facing the canal features a patio and plenty of glass doors and floor-to-ceiling glass windows, but the side facing the promenade is closed off. Yachts can be parked next to the homes, but boats over 55ft will have to be moored at a discounted rate in the nearby Marasi Marina. Apart from the floating homes, Marasi Bay will also feature floating restaurants. The homes, which were manufacture in Finland by floating construction specialist Admares, are kept in place using a mooring solution called Seaflex, which expands and retracts with the tide to keep floating structures stable and in position.